Asus Zenfone Max Pro M2 and Zenfone Max M2's Specifications revealed - mobilereview.online - The Ultimate resource for mobile phones reviews, specification, information. A leak was revealed yesterday just for Asus, which stated that the Zenfone Max Pro M2 smartphone will be launched with triple rear camera. Today, again the important information about the new Asus Zenfone series has been leaked. Not only Zenfone Max Pro M2 in the new leaks but also the specifics of Zenfone Max M2 have been revealed. With the specifications of Asus both the smartphones, it has also come to know that both of these phones will soon be launched in India. According to leak this phone can be launched on a 6-inch FullHD + display. According to the leak, the phone will be given 4 GB of RAM memory with this phone, with which it will be launched in 64 GB memory and two options of 128 GB storage. Asus can launch this phone on Qualcomm's Snapdragon 660 chipset. It has not been mentioned in the leak that how many power rear camera sensors will be on the back panel of Zenfone Max Pro M2. But on the other hand the 13-megapixel selfie camera in this phone has been said in this leak. Similarly, according to Zenfone Max M2, the leak says that the company will also launch this smartphone on a 6-inch FullHD + display. 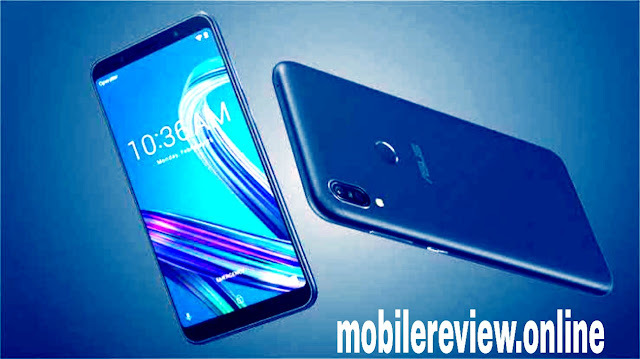 Zenfone Max M2 can also be offered on the 4 GB RAM Macri, with which this phone will be available for sale in 32 GB and 64 GB of two storage variants. In this phone of Asus Qualcomm can get Snapdragon 636 chipset. Dual rear camera setup will be seen on the back panel of Zenfone Max M2. At the same time, 13-megapixel front camera can be given in this phone for selfies. Let us tell you that last month Asus Zenfone Max Pro M2 and Zenfone Max M2 have received certification from the European Economic Commission website. In the new leaks, the model number of the Indian Version of Zenfone Max Pro M2, where Zb 634 KL is mentioned, Zenfone Max M2 model is mentioned as Zb 632 KL. It is believed that the company will soon launch these smartphones soon after the leaks are revealed.